Today’s guest post comes from RetreatHub, a company devoted to making it easy for retreat organizers to find the perfect venue for their event. Often, our daydreams take us to a sunny beach in Cancun or urban hiking through the streets of Italy — or whatever the next exciting location we’re hoping to visit might be. Just imagining all the wonderful environments, foods, and cultures might be enough to make you happy until that date on the plane ticket. These vacations can be a great way to get your mind off your regular life, but have you ever considered a vacation designed for your mind, body and soul? 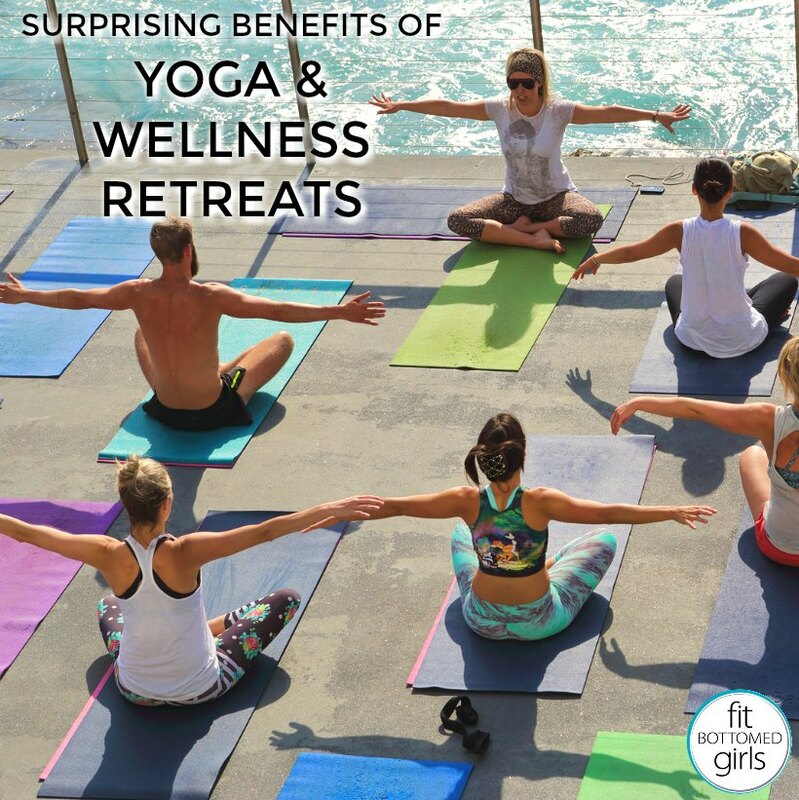 A wellness or yoga retreat is a special type of getaway that is extremely rewarding and might do more to uplift you than a couple weeks of sipping piña coladas on the sand. Retreats recharge your battery from all the distractions of life and help you focus on the important things in life. It’s a wonderful way to re-engage and live in the moment again. And you might be surprised by some the benefits of opting for a wellness retreat rather than a traditional vacay. Don’t worry about planning where you’re going or what you’re going to do — most retreats take care of all those matters. The location is going to be beautiful, and the pleasant weather will help you feel your best. There’s no need to worry about missing trains, standing in long lines for art museums, or worrying about that street food item that you might be paying for later. Everything will be laid out for you so you only have to focus on rest and relaxation. Don’t worry about overspending your budget either — retreats are usually inclusive enough to provide you everything you need. Coming home with no holes in your pocket is a solid feeling indeed! Have you ever truly disconnected from your phone/computer for more than a day, a week, or a fortnight? Perhaps, you forgot what that feels like. The only computer you need here will be your brain. Taking much needed time away from the screen can give us natural light and actually make us wander outside to feel the grass beneath our bare feet and sun on our skin. Camping trips, hiking, or outside activities might have the same influence for your body, but they generally don’t tie in the spiritual aspect (unless that was your intent in the first place). Ditching the tech leaves your relationships with others in a healthy suspension so you can have time to focus on yourself. Take a break from the emotions you feel after seeing your friend’s envy-provoking picture on Facebook or the text conversation that never seems to end. There are no pizzas, french fries, or hot wings here. There are only healthy, nutritious items in front of you to help you get away from the processed, preserved, and pasteurized foods of the modern world. Give your chance for your body to have a bit of a healthy eating reset and indulge in that delicious slice of fresh mango, bite into that succulent cherry tomato, or even experience a new fruit you’ve never ever had in your life! Many spiritual gurus practice a clean diet to help avoid distractions in their minds and keep it pure from toxic chemicals. You might be sipping on one too many margaritas at a resort but not here! Your new spiritual friends are waiting for you at the retreat. They, too, want to connect with you and share the beautiful moments of their lives. You’ll build great friends in this new support network who all share this deep passion for wellness. Who knows — maybe you’ll even get an invite to their country, or offer to host them in your home? Isn’t it a wonderful feeling to know you have friends around the world? Sharing goals and helping each other through the more emotional aspects of a retreat creates a great sense of camaraderie. Take all this great inspiration and habits you have built up over the weeks and keep growing into the version of you that you want to be. It might be hard at times, but hopefully you’ll embrace your healthy habits, and perhaps your new friends will keep you stick to them. And when you’re ready for a little refresher, your next yoga/wellness retreat house will be waiting for you. I have not been on a yoga or wellness retreat, but it definitely sounds intriguing. Yoga always helps to relax your mind and body and helps to keep you fit and fine with no side effects. Thanks for sharing the article it’s really amazing. Yoga helps to reduce stress and blood sugar level from our body. Thanks for sharing a useful Blog. Yoga is one way that many people better balance the stresses that come with being so busy. Thanks for sharing some useful information on yoga.